Most cigar smokers misplace their cutters and just can't find one when they need one. Attach this handsome rosewood one to your keys and it will always be close by. Screw off the top of the punch to reveal the punch cutter. 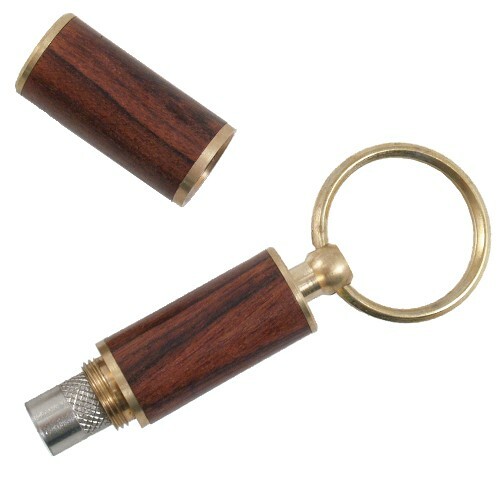 Punch the top of your cigar and press the plunger to eject the punch of the cigar cap, it is that easy. No mistakes as with other cutters. Get one for every key ring!